Custom component solutions for infection prevention devices. 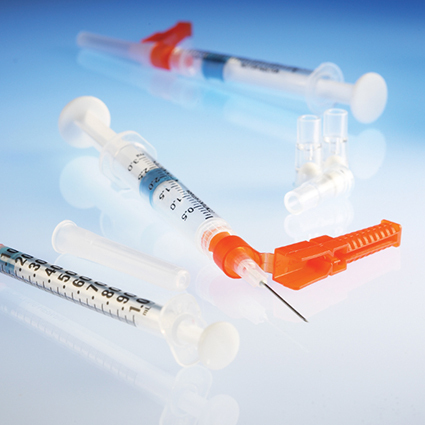 Through decades of partnering with the world’s leading companies and brands of infection prevention devices, Porex is the leader in bringing innovation and performance to solve your design challenges in filtering, venting, and wicking applications. POREX® solutions include sterilization container reusable filters, safety IV catheter vents, suction canister filters, and fume absorbers. By developing custom solutions to current product design challenges, we help companies innovate new infection prevention products to capture a competitive edge. Our POREX® Virtek™ reusable filters function in two ways: as a vent to allow pressure equalization during the sterilization process, and as a filter barrier to bacteria during subsequent storage. 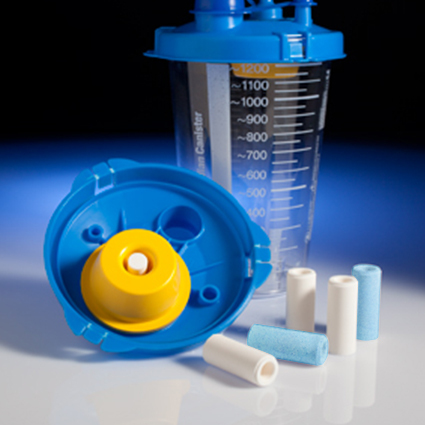 These reusable filters, comprised of sintered polytetrafluoroethylene (PTFE), are engineered and designed to withstand repeated sterilization cycles as well as deliver substantial performance, convenience, and cost savings over traditional single-use paper and textile filter materials. 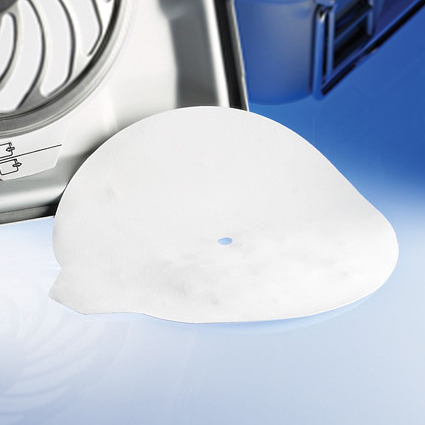 Withstand repeated autoclave sterilization –Durable POREX® Virtek™ PTFE material is designed to withstand repeated sterilization cycles, leading to cost savings and greater convenience. Have a printable surface – Batch ID and date codes can be printed on filters. Deliver high airflow and maintain sterile integrity–POREX® Virtek™ PTFE is a sintered porous plastic that is inherently hydrophobic and is engineered for high airflow and high bacterial filtration efficiency to your specifications. Do not need to be replaced for the life of the container. Install it and forget it. Protect healthcare workers from pathogen exposure when using IV catheters. POREX® safety IV catheter vents are self-sealing vent components assembled into a safety IV catheter device. This medical device is inserted into a patient’s vein to serve several important functions: to obtain blood samples from patients, to introduce fluids such as sterile saline, or to administer drugs such as IV antibiotics. The self-sealing POREX safety IV catheter vents immediately shut off upon contact with fluids - including blood – thereby eliminating blood bypass in the “flashback chamber” to protect healthcare employees from exposure to blood and bloodborne pathogens. Protect healthcare employees from exposure–The vent’s “self-sealing” ability to immediately shut off upon contact with fluids eliminates fluid bypass and protects healthcare employees from blood and bloodborne pathogens. Meet airflow requirements – Optimized design provides desired airflow and pressure drop characteristics under venous pressure. 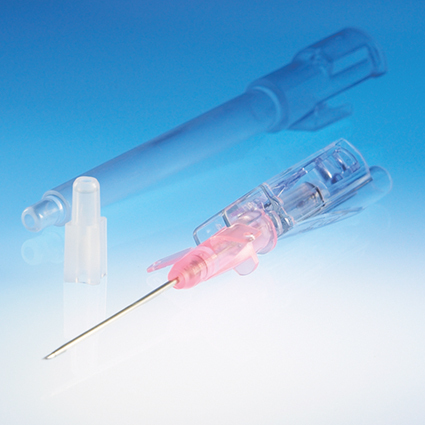 POREX® arterial syringe vents are engineered to eliminate blood bypass in arterial syringe devices when collecting blood samples from patients for blood gas analysis. Maintain sample integrity –The vent’s “self-sealing” ability traps the blood thereby preserving the sample in a controlled environment. Hospital central vacuum systems support many devices used in surgical procedures. Designed to be self-sealing, our POREX® suction canister filters help maintain the integrity of these systems. POREX® suction canister filters effectively filter the air and protect the vacuum system lines from contaminants in the fluid contained within the collection canister. Comprised of porous plastic containing a functional additive, our suction canister filters behave as a valve by automatically and instantly shutting off airflow from the collection canister when collected fluids come in contact with the filter. Prevent infections–Self-sealing design prevents infectious fluid from entering the hospital central vacuum lines. Meet specific airflow and filtration requirements–Optimized designs have high airflow and high bacterial filtration efficiency (BFE), thereby preventing infections. Can be designed as a single component for easier, press-fit assembly eliminating the cost and complexity of multi-part mechanical valves. POREX® porous fume absorbers are used for the convenient and efficient eradication of noxious fumes generated in the cement-bone mixing process during surgical procedures in hospital operating rooms. Designed with porous plastic disks that surround activated carbon material, POREX porous fume absorbers create a porous fume filter that supports balanced air flow rates, optimal back flow pressure, and out-gas residence times. Prevent toxic fume and gas escape in operating rooms–Effectively absorbs fumes and gases, preventing exposure in operating rooms. Balance airflow with residence time for optimal absorption within a specific device geometry. Easy press-fit assembly–Complex layered component is designed for a simple press-fit assembly into the mixing device.